Rajma Chawal (Rice) is an Excellent Combo and comfort food.Rajma / Kidney beans are an excellent source of molybdenum. They are a very good source of folate, dietary fiber and manganese. Kidney beans are a good source of protein, thiamine (vitamin B1), phosphorus, iron, copper, magnesium, and potassium.Kidney beans are a very good source of cholesterol-lowering fiber, as are most other beans. 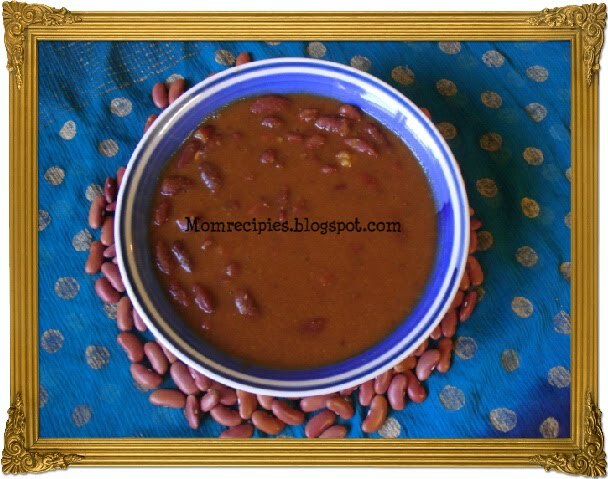 1) Soak the kidney beans overnight or for at least 12 hours.Soaking Kidney Beans / Rajma for more time helps remove the indigestible complex sugars that create gas in your intestine.Kidney beans will be double in volume after soaking. 2) Pressure cook Kidney beans till 3 whistles.Don't overcook otherwise beans get mushy.Beans should be properly cooked but at the same time they should remain whole. 3) Grind onion, tomato, garlic, ginger and green chillies together in a blender / Mixer. 4) Heat oil in a pan. Add the cumin seeds. When it splutters add hing and grounded paste. Saute for sometime. Add red chilli powder,coriander powder,garam masala and saute till the raw flavor disappears or oil separates from the mixture. 5) Add the cooked kidney beans along with the water and salt and close the pan with lid.Cook for around 20minutes on low heat till the beans mixes really well with the gravy. 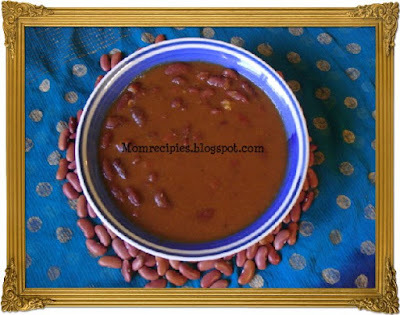 6) Kidney beans should be soft and tender. Lightly mash the kidney beans while mixing. Adjust salt, to your taste. Add little water to adjust the consistency of gravy. 7) Garnish with Chopped Coriander. 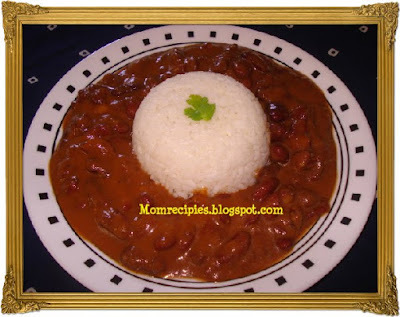 8) Serve rajma masala with hot steamed rice , chapatis,phulkas,roti. 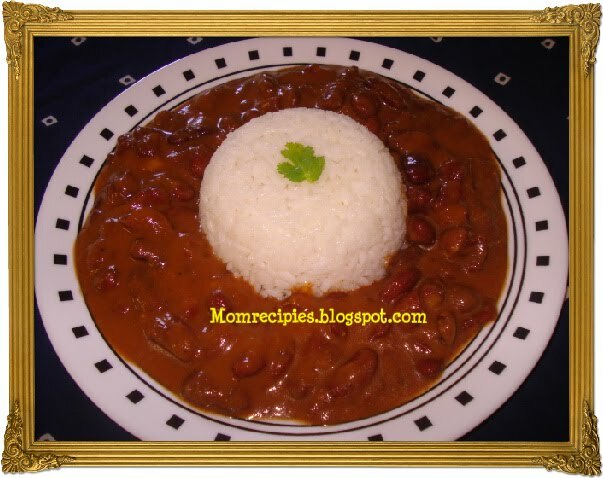 This is our familt fav dish.Your rajma looks rich and creamy. Love love rajma and this looks so so delicious.